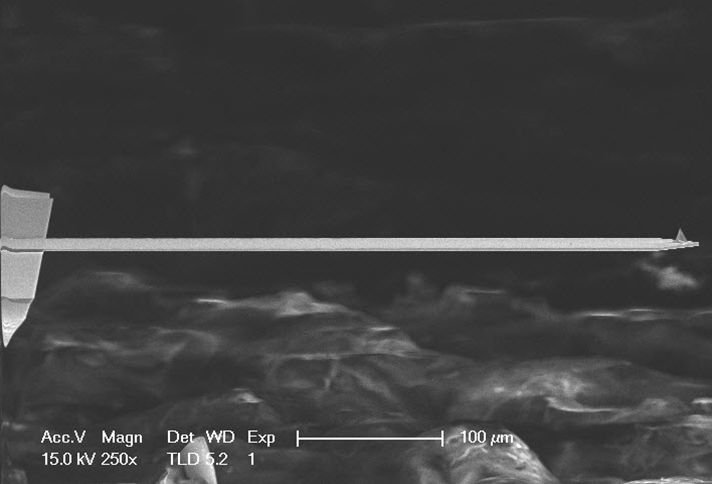 A wafer of High quality etched silicon probes for contact mode imaging in air. Unmounted for use on standard AFM's. 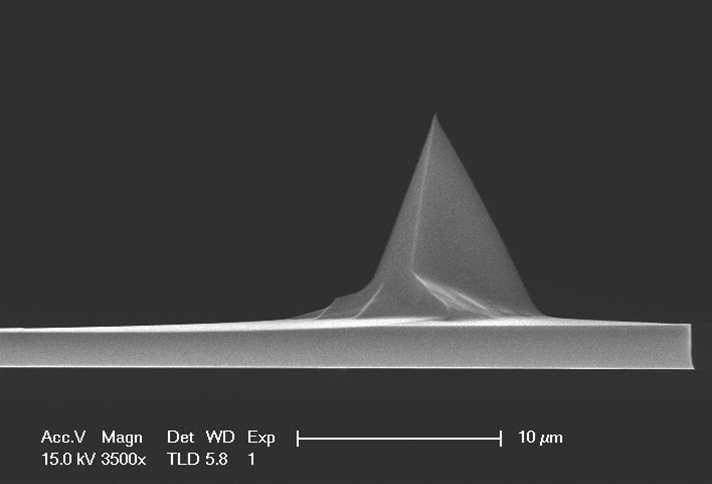 This AFM probe is unmounted for use on any AFM and is also available without Aluminum reflex coating as model ESPW-V2.